I have only known Marc less than a year. We live in the same part of the country, but have never met face-to-face. (Hoping to change that sometime soon.) But I love this guy. I love his heartbeat. I love his passion. In fact, we share the same passion. Helping people live out their faith from a place of identity, rather than a place of morality. So, let me ask you something: Why do you read the Bible? To know what I’m supposed to do. These certainly aren’t bad answers, as much as they are incomplete ones. The answers above should stay on the list, to be sure. But sometimes – heck, even once – I’d like to some different answers. Special Contributor:Today’s post is by Keith Ferrin.Keith is an author, blogger, conference speaker, and Biblical storyteller. Everything he does stems from a desire to help people come to know that the living Word of God is a reality…not a phrase. You can connect with him on his blog,, Facebook, Twitter, and Pinterest. Reading the Bible for a different reason. To hang out with God. To be reminded of who I am. Shouldn’t those answers be on the list? After all, those are the relational answers. Too often, we settle for studying the Bible for purely informational reasons. We leave out the relationship altogether. We forget that the real reason for reading the Bible is to BE with God, not just to learn about Him. 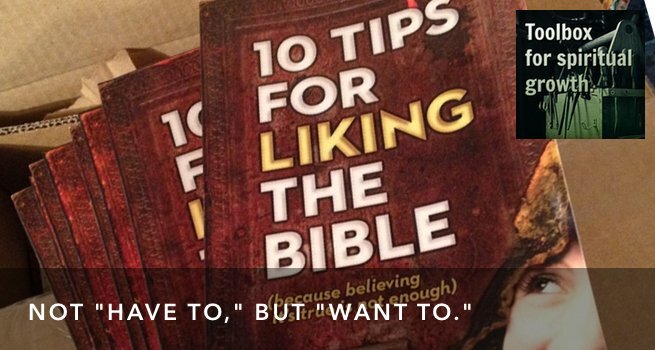 Reading the Bible should be primarily relational, not informational. Tweet That: Reading the Bible should be primarily relational, not informational! Is there information in there? Absolutely. But the way we take it in needs to be relational. Let’s come at this from another angle. If you and I sat down for a cup of coffee for an hour, would we learn information about each other? Definitely. I proceed to ask you about your family, job, likes, dislikes, hobbies, upcoming events, etc. Once I get my questions answered, I thank you for your time and head out the door. What do you think? Would you meet me the next week if I asked you to coffee again? Not a chance. Why? Because a relationship that’s just about learning information isn’t a relationship at all. But don’t we do the same thing to God all the time? We grab our Bible, pen, and devotional book. Then we read the assigned passage for the day. Next we look at the questions we need to answer. Once the blanks are filled in – we must be done. And sometimes I wonder if God is trying to get our attention, wondering if we realize that “getting through” our reading for the day was never His intent. It was never His idea that our time in the Word would be primarily informational. For Him, it’s always been about the relationship. Reading the Bible can be fun? I think God wants our time in the Word to be, dare I say, fun. I think he wants us to like it, not just learn from it. Do we learn? Yes. Is there correction? Yes. Comfort? Yes. Instruction? Yes. But don’t we learn, accept correction, embrace His comfort, and receive His instruction much more fully in the context of relationship? Absolutely. 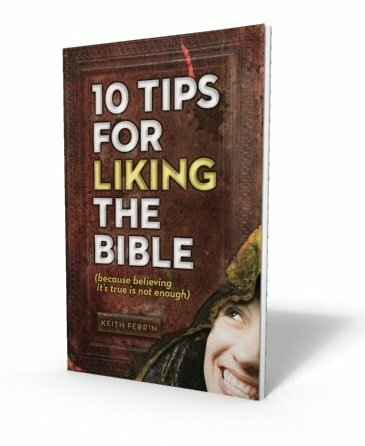 That is exactly why I have written my new book, 10 Tips for Liking the Bible (Because Believing It’s True Is Not Enough). After reading this post and seeing the book’s title, you don’t need me to explain it. My intent was to write something immediately applicable with accessible tips for someone who is exploring this Jesus guy or who has been around church for decades. NOTE FROM MARC: Hey all, I’m so happy to be able to support Keith this week. Not only is this a great post to share with you, but he’s got a bunch of free stuff he’s giving away that can be a great help to your journey. If this book sounds like it’s for you, then pick it up during his launch week, April 18-24, and you’ll get his 10 free bonuses. You can find out more here. 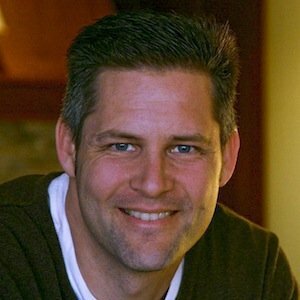 Keith Ferrin is an author, blogger, conference speaker, and Biblical storyteller. Everything he does stems from a desire to help people come to know that the living Word of God is a reality…not a phrase.